Blame Russian bots! 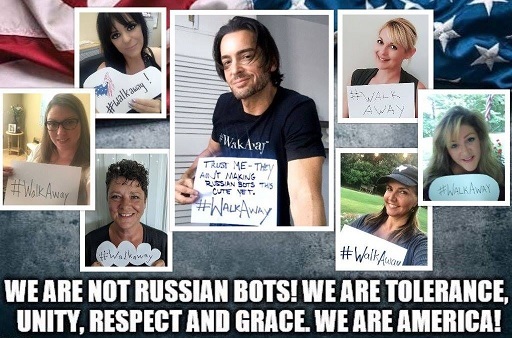 Using two websites, created after the 2016 election, one by a group of NeverTrumpers and another by a liberal Hillary Clinton supporter who has an extreme hatred and bias against anything “Russia” related, Arc Digital Media declared the #WalkAway movement was a “deceptive propaganda campaign,” being pushed by Pro-Trump and Russian-linked Twitter accounts. That determination is made by citing the NeverTrump/anti-Russia site Hamilton 68 and another supposed bot tracking site Bot Sentinel. Long story short, the sites falsely “label” real people as “bots/trolls ” then every time those real people use certain hashtags like #MAGA or #WalkAway, they claim that is “proof” that the movement is not real, not as huge as it is, and is being elevated by bots and trolls. Granted, bots exist. Hashtags both liberal and conservative themed are amplified by a certain amount of bot activity, but citing “Russian-linked” accounts, as described by Hamilton 68, when they have never provided one bit of proof that any of the accounts they track are really linked to Russia in any manner, basically just saying “trust us” they are, is nothing more than a manufactured scapegoat to discredit anything that doesn’t fit the official narrative. Create a website, label real people as bots with absolutely no proof they are bots, have the media cite your conclusions so you appear to be some type of authority, then any time something becomes popular that doesn’t fit the media agenda, claim it is those “bots” that are responsible. The problem these liberal websites, and Democrats are having is that more and more of these falsely accused “bots” are now proving to be real as video after video of real people, are starting to be published and slapped on YouTube and in the #WalkAway hashtag on Twitter. Obviously not “bots” as they explain why they have previously, or are now, walking away from the Democratic party because of how radical, and in some cases, violent, the party has become. The two videos above are just a couple of examples of the dozens upon dozens, if not hundreds of videos being published, of real people who make up a small portion of the #WalkAway movement, people that liberal media outlets cannot label trolls or “bots,” because they are speaking out, not from an anonymous Twitter handle, but on camera. First: Millions of Bernie supporters, turned Clinton voters, will #WalkAway if the Democratic party even hints at supporting another Clinton run. After the election when it was revealed that the DNC actively worked in favor of Clinton and against Bernie Sanders to rig the primaries in her favor, Sanders’ supporters were, and many still are, livid. 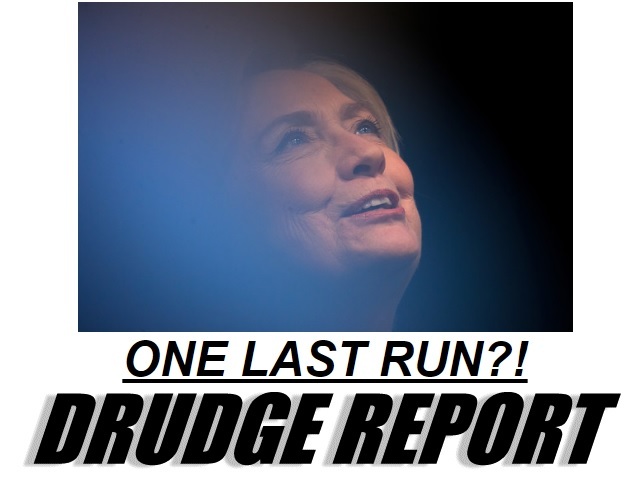 They will walk away….. by the tens of thousands. They may not vote Republican, but it may depress the vote because they may walk away from voting at all. While I have noted some very bizarre behavior from the party of “Abolish ICE,” open borders, encourage violence against political opponents, I cannot make myself believe the Democrats would even consider allowing Clinton to obtain the 2020 Democratic presidential nomination. Nobody could be that stupid… could they? The #WalkAway movement is relatively young as far as historical movements go, but in watching “news” about it, as well as the social media response, and the increasing number of “real people” creating videos to explain why they have, or are, walking away from the Democratic party, we note this movement has already surpassed the effectiveness of the #Resistance movement, which is now full of radicals encouraging harassment, physical confrontation and violence. Next articleAmericans Are FLEEING These Cities! Why Do People Abandon Their State?